The Story of Me – increasing vocabulary recognition. 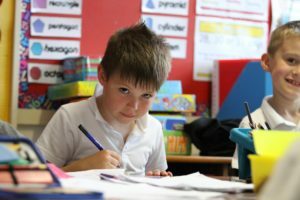 I am a primary school class teacher, based in Scotland. I teach Primary 2 (age 6 -7 years). I designed the Story of Me project to promote recall of vocabulary. It was inspired by an article I read recently by Turk et Al (2015) which found that children were more likely to recall target vocabulary if it was used in sentences where they themselves were the subject of the sentence. At the same time I had been doing lots of work with my class on improving their drawings of themselves. I had been modelling the step by step process I would take to draw a person and discussing with them all the elements that one might think about when trying to represent somebody in an illustration and then, following on from that, how you might illustrate what they are doing in the picture. I put together the project based on these on these two ideas to see whether co-authoring and the experience of being the subject of both text and illustration could make target words more memorable for children and also to see whether seeing themselves represented by an illustrator would improve their self-portrait skills! 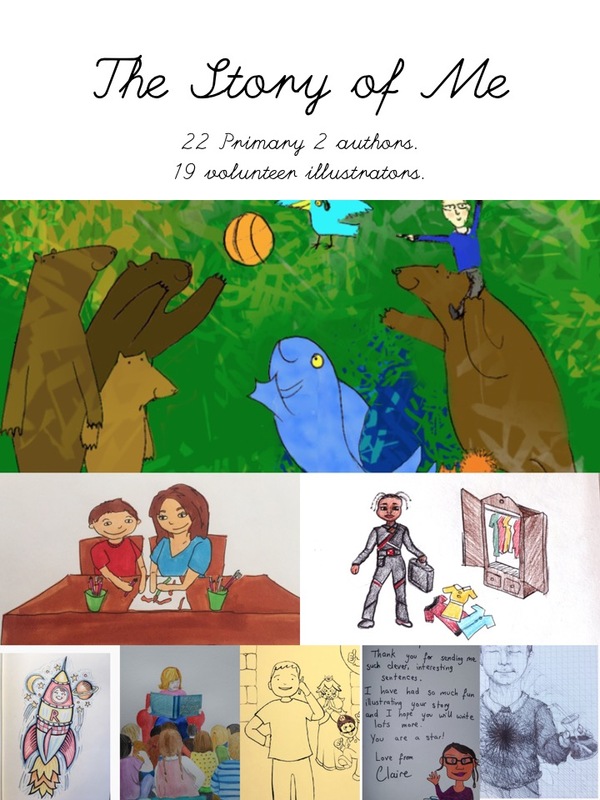 I am currently studying illustration and I was engaged in this project as an illustrator as well as the class teacher (although the children were not aware that some of their stories were being illustrated by me!). Identify target group of words for each child – these were a mixture of ‘high frequency words’ and ‘keywords’ from our reading scheme. Children create sentences about themselves using these words. Aspiring children’s illustrators were recruited to work (virtually) with the children in the class – they draw one illustration for each child’s sentence per week. Child is created as a central character so each sentence becomes part of a story about them. Aspiring illustrators gain experience in the creation of a character and placing that character in different situations each week. Illustrations come back to the children via email or online sharing. Over the 4 weeks of the project the children will compile a special book (either a paper book or an e-book) containing an illustrated story about themselves. Children develop a strong relationship with the target words and recall them accurately. Illustrators model good quality drawing and illustration for the children and the children develop their ability to draw figures and faces. Illustrators gain experience creating a character and placing it in different situations. Children get a taste of the collaboration of author and illustrator. Children gain a better understanding of the work of both an author and an illustrator. All children see themselves in the role of an author – they have written a book! Children’s ideas are valued and celebrated. Children themselves are at the centre of the story – they are important and interesting. The project is now complete and you can see a compilation of our wonderful stories at http://bit.ly/StoryOM2. There is also a summary of the findings and outcomes of the project against its intended aims. I hope you enjoy The Story of Me! This entry was posted in #ScotEdChat, Art, Creativity, English, Expressive Arts, Ideas, Leadership, Literacy, PedagooFriday, Primary, Professional Learning, Research, Skills and tagged art, drawing, illustration, learning, literacy, primary, writing on May 18, 2017 by Susannah Jeffries. This statement illustrates the philosophy behind the Children’s Library club, offered to pupils of St Mungo’s Primary School every Wednesday from 3 o’clock, with students from the School of Education at the University of Strathclyde having full responsibility for planning, organising and running this experience. St Mungo’s Primary school is located directly behind the university library, but the 5 minutes walking distance between the 2 buildings is ultimately a barrier between two separate communities. Although the physical distance is minimal, the distance metaphorically is immense and the prospect of the University campus was abstract to the pupils in St Mungo’s Primary, many of whom were actually unaware of its size, opportunities offered and even its existence. This is further highlighted in that I, as a student entering my fourth year of study, was equally unaware of the existence of the school. This after school club enabled children to see for themselves the wonders of the huge library, specifically the vast range of children’s books covering a variety of exciting topics and the technology and research methods that could be utilized to help them make interesting and relevant discoveries. Through inviting groups of pupils into our library, supporting them in researching topics of interest, and encouraging them in team work while being independent in their own learning, we hoped to enlighten pupils to the captivating environment offered in the University. 4 weeks of exploring informative resources, increasing knowledge and enthusiasm and co-creating presentations to display this, accumulates in a visit from parents, who are also invited to the library to see for themselves the experience their children have had. We hoped the experience would reintroduce the university, the library, and further education as a whole, as things pertinent and accessible to everyone, regardless of their current social, economic, political or cultural status. Being the initial organiser and key point of communication between the school and the university, I had the opportunity to immerse myself in an experience which has enabled me to develop, not only an enhanced passion for books and working with children, but professional attributes which shall be utilised in my future career as a teacher and which shall be strengthened throughout my professional life. I feel I have gained vital experience of leadership as I took responsibility for the creation of the club, planning and organising timings, resources, considerations of safety and “housekeeping”, recruitment of fellow students and lines of communication to maintain the efficient running of the sessions. This in turn led to attributes of resilience and problem solving being developed as several obstacles were addressed and overcome: lack of communication and issues regarding commitment being just some of these. As I was undertaking my final 3 month block placement in the months from January – March, for me this meant keeping in close contact with the students who had volunteered to run these sessions, ensuring the club was of a sustainable nature, instructions and advice being passed to successive groups. The benefits reaped from this project were not only apparent in the children who took part, but also in the students from the university who organised and supported the sessions. Students across all 4 years of study took part in various 4 week blocks, working together, liaising with other professionals and experiencing numerous obstacles and challenges throughout their work, implementing skills of cooperation, problem solving and communication in order to address these and maintain the consistency of the club. The success experienced in this first year of the clubs creation has evoked a huge sense of pride in me and has ultimately given me the confidence to continue with opportunities like this in the future, taking a leadership role in other experiences that I find exciting and worthwhile that spark my personal interest and passion. The sustainability of the Children’s Library Club means that students who have taken part this year can go on to carry the club forward, using their prior knowledge and experience to influence its progression. I sincerely hope this initiative will continue for many years to come as we continue to work together to collaborate the communities of university students and staff, and the parents, pupils and teachers of St Mungos Primary. This entry was posted in #ScotEdChat, Creativity, English, Ideas, Inclusion, Involving Pupils, Leadership, PedagooReflect, Primary, Professional Learning, Skills on May 10, 2017 by Carrie Shaw. HOW DO WE INCREASE THE ATTAINMENT AND CONFIDENCE OF OUR LEARNERS ACROSS SCOTLAND? While there is no overall magic bullet, I believe that by creating a growth mindset culture within our schools; we can do much to improve children’s attainment and mental health. Let’s focus on the issue of closing the attainment gap. The link between attainment and poverty is well documented in education research, including the Joseph Rowntree report on closing the gap. However, working to support parents and teachers to embed a growth mindset culture transcends social class. It does so by raising the bar of expectation, in a way that is realistic, based on credible feedback that is supportive, friendly and person centred. Having increased confidence, resilience, appetite for learning and understanding by working hard and practising different strategies can bridge the deficit when there may be little aspiration or value attached to education in the family home.So, how do we make it practical? Growth mindset has the potential to act as a way of supporting vulnerable learners by working on their resilience and using a growth mindset to increase appetite and engagement with learning and allowing those who have reached a good command of a subject to achieve mastery while enabling everyone to improve. Teachers can fulfil this role as well by thinking about the language they use in class and how they differentiate work for pupils – thinking through their own judgements that are applied to student potential (such as avoiding the use of ‘sets’ at too early a stage; using mixed ability groupings to encourage learning, peer learning opportunities, etc). Mindset activities within the school should be included within school plans but not necessarily as a separate area for improvement. Think what can growth mindset can do within the context of literacy, numeracy and health and wellbeing. Standing back and looking at all activities that happen within the school can create the opportunity to think about teaching and engagement strategies that help learners to seek help, understand their intelligence is not fixed and that everyone can improve in their education. We need to pay attention to transition points, to language, to the curriculum and in ensuring that everyone across the school community is working hard to promote growth mindset consistently and based on a plan that is right for your particular school and community. So, what are you going to do today to make mindset real within your school for your pupils, fellow staff and parents? Comment below if you are using mindset to help attainment in your school. This entry was posted in Curricular Areas, Curriculum, Ideas, Leadership, Pedagoo, Research, Resource, Skills and tagged Attainment, fixed mindset, growth mindset, learning, mindset on December 15, 2016 by Winning Scotland Foundation. I am often bowled over by an EYFS teacher’s ability to create something out of nothing. When so much in Early Years revolves around child interest, it can often be difficult to plan for the interests of all children. And even if you do it can be in vain, when a group of children totally into superheroes for example, completely reject the phenomenal new area of provision you have slaved over. A rainy day outdoors last week with no cover and soggy resources led to a frustrated teacher, thinking, as ever, quite literally on her wet feet. 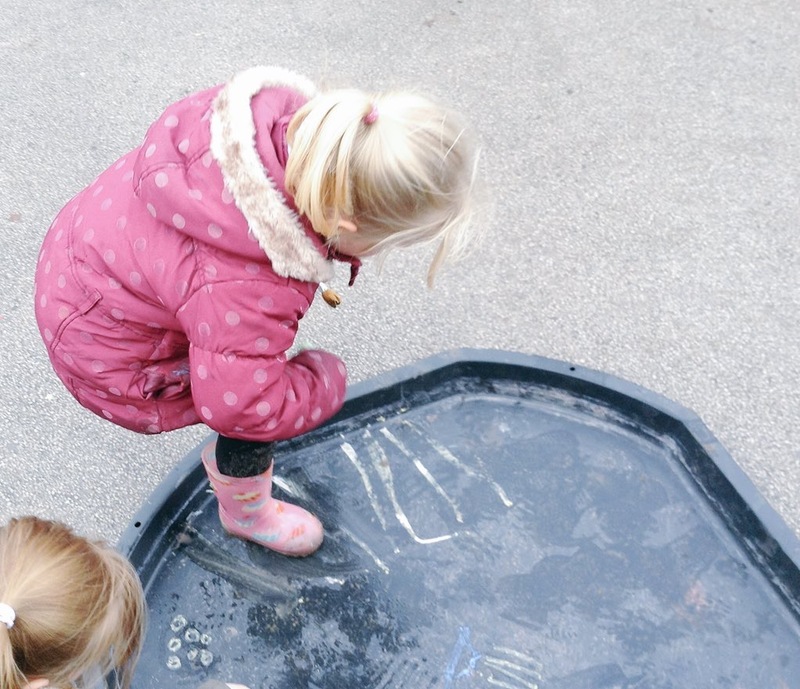 The children showed a real interest in jumping in the puddles. Yay! Physical development. Good job as everything else was a tad limited. The impacting teacher joins in, has fun, talks about the puddles, the weather, asks key questions. The innovating teacher sees something else. They think at a zillion miles an hour how they can extend this learning to something really rather special. The children started to jump from the puddles into a now dry tuff spot. Cue footprints! The innovating teacher will quell the instinct to yell “STOP! SLIPPERY!”. The teacher helped the children, with the use of Building Learning Power, to notice. What could they see in the footprints? There were stripes, zig zags, circles – patterns! We have maths! Woohoo! Brain spirals again. Grab chalks! Go over the patterns with your chalk. Literacy! More physical development! The children give meaning to their marks. But now the tuff spot is also a wet mess with no visible footprints. The group head over to a ready set up mark making area outdoors under cover where there is an abundance of thick paper. The children jump up and down on the paper, repeating the process of retracing lines. “Can I take it home to show Mummy?” – PSED! They are proud. The innovating teacher has, naturally, captured all this on her iPad. Assessment! The opportunities to extend beyond this are ten fold. Learning walks looking for patterns, printing using other tools, sensory activities. Its great to have a fabulous environment. But on occasion even that can let you down. And it is at that point that the innovating EYFS teacher has the ability to literally create something out of nothing. Which very often leads to the best learning outcomes! This entry was posted in Maths, Outdoor Learning, Primary on November 16, 2016 by Nicola Clements. It is always good to have a bit of a project for the school holidays. My October holiday project probably should have been having a big tidy-up or finding someone to clean the guttering, but instead I decided to finish writing and illustrating a picture book. This was quite a significant project as I am not a writer and I have only just started learning to draw but I have been writing this book, through various iterations, over the past 6 months in response to a need I identified while teaching. As we all know, learning your number bonds is a really helpful stepping stone toward improving your mental maths. If you know what numbers go together to make 10 then you can immediately access a whole load of other number facts. However, for some kids, retaining these number facts is much harder than it is for others. Having tried to teach these facts every which way I could think of, some kids were still struggling, but I knew that some of those same children could tell me every detail of a story I had told them. So I decided to try writing these facts into a story. 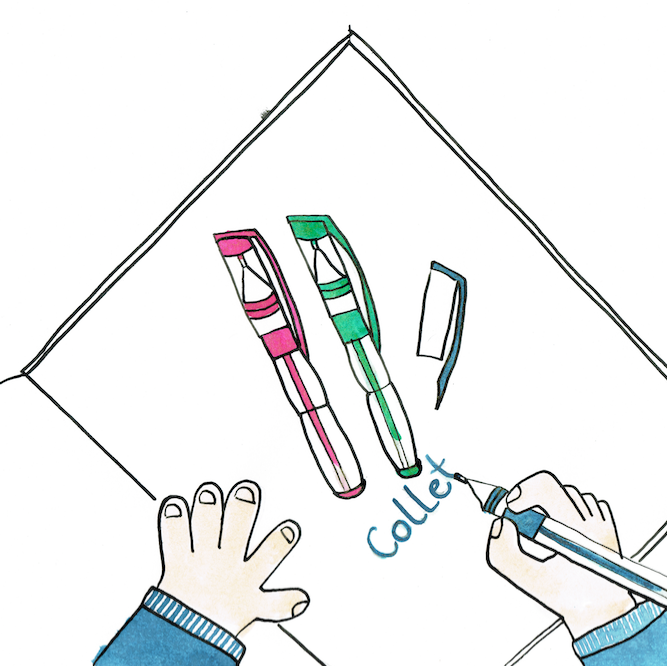 The book is called Collette Collects and it is about a wee girl who likes to make collections of things. She doesn’t really mind what she collects but she feels that for a collection to really be a collection it should have 10 things. Last session I started to read (various versions of) this story every week before our regular mental maths activity and after a few weeks some of those children who had always struggled were shouting out the answers to the questions posed on every page and I started to see a slow but steady improvement in their number bond knowledge. I have now created a complete, illustrated version and I am working with a group of class teachers in different settings and parents of children aged approx. 5 – 7 years to test and measure the impact of the book. If you would like to use a copy in your school the book is available from both TES Resources and Teachers Pay Teachers. If you would be interested in taking part in the testing process, please contact me via twitter @MrsJTeaches or use the contact form below. This entry was posted in Creativity, edubooks, Literacy, Maths, Numeracy, Primary, Resource, Resource and tagged art, drawing, kidlit, Maths, number, numeracy, picturebooks, teaching, writing on October 27, 2016 by Susannah Jeffries. 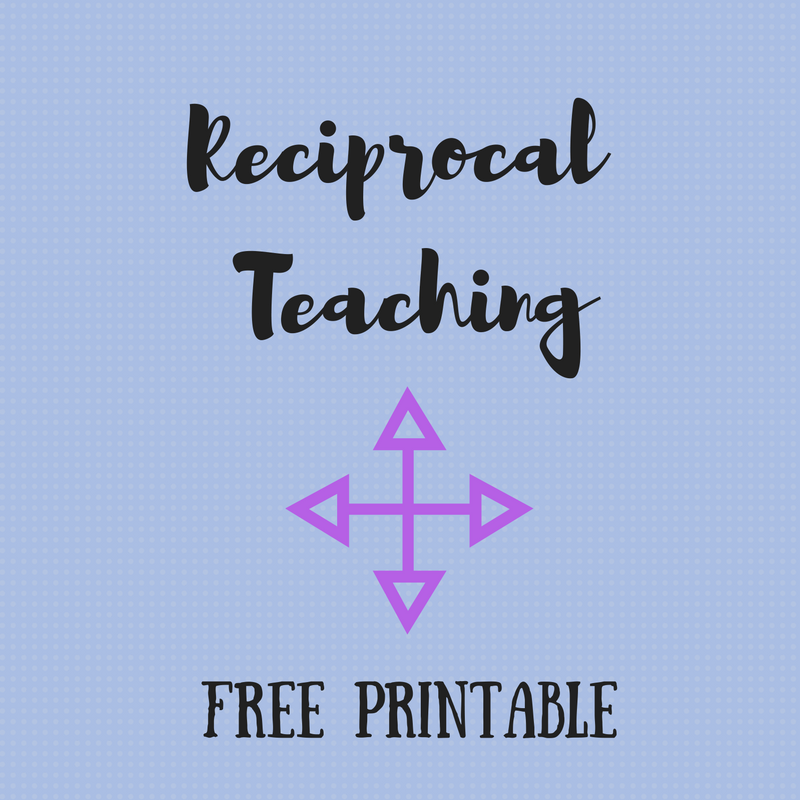 Recently two colleagues taught me all about Reciprocal Teaching as a way of encouraging literacy in the classroom. Each member of a group is given a different role, Predictor, Clarifier, Summariser or Questioner. All group members are given a piece of text to read, with each of them looking at a different role within this, it means that when they go to discuss the piece of text, they all have different ideas and perspectives to bring to it and it structures the activity much better. Not only does this encourage literacy, it also encourages group work and makes each member accountable. I have created some worksheets that will aid each member with their role and tasks to structure their reading. 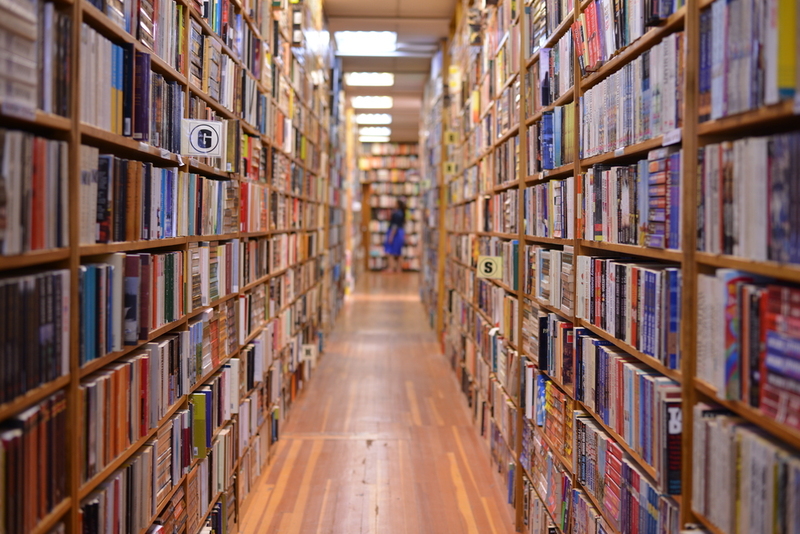 This entry was posted in #ScotEdChat, Ideas, Involving Pupils, Literacy, Pedagoo, Resource, Resource, Skills and tagged free resources, literacy, reciprocal teaching, skills on September 3, 2016 by Stephanie Whyte. Are you looking for a way to incorporate Getting it Right for Every Child into your classroom? Child Rights Launchpad by Unicef UK aims to help you do this. Launchpad is a ready-to-use, Scotland specific resource that promotes learning about rights and supports the Curriculum for Excellence. 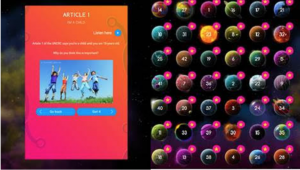 It covers all 42 articles of the UNCRC directly relating to children and, best of all, this award-winning resource is completely FREE to use! Level 3: 13 to 18-year-olds. Example of the site’s content. At each level the ‘missions’ follow the same format. The exploration begins with an introduction to the right, before considering it in a Scottish context. The focus then switches to an international setting, exploring how the right is enjoyed in one or more countries around the world, followed by a related activity. Finally, the ‘mission’ is finished with an interactive quiz and a star for the ‘Super You’ character. After six missions each child or young person receives a certificate. Detailed Guidance for Adults is available on the website- this will provide you with all the information you need about the resource. It’ll also help you to plan how you use Launchpad in your lessons. Creating your free account is incredibly easy, simply follow this link, We’re confident that you’ll be glad you did – just remember to encourage your colleagues to create their accounts too! 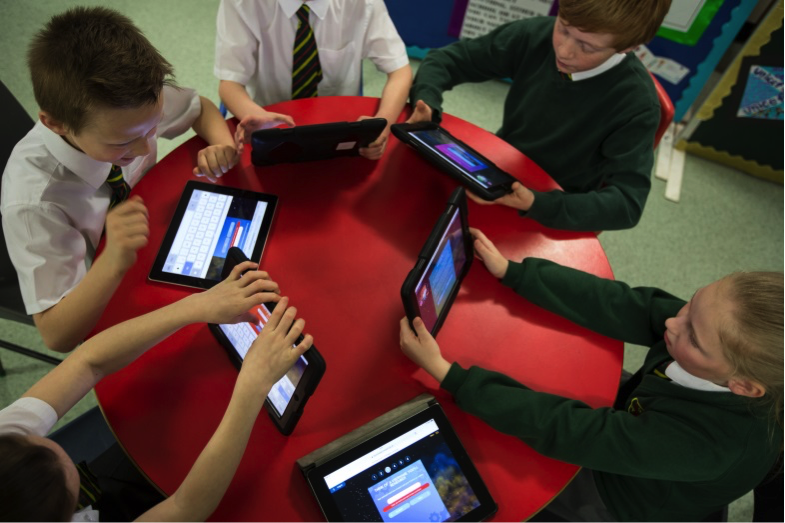 This entry was posted in #ScotEdChat, Curriculum, ICT, Ideas, Implementation, Involving Pupils, Pedagoo, Pedagoo@PL, PedagooFriday, Resource, Resource, Social Studies, Visible Learning on May 21, 2016 by Katy Brown. I got the idea to try out the Sport Education from my departmental PT as he wanted to see how it worked, so I thought why not a give it a go? What can go wrong? I can can only learn more and take it forwards!! What is Sport Education, and why use it? Sport Education has shown to provide the possibility for better learning and social experiences for all learners through a learner-centred approach of teaching. Sport Education was produced to provide learners with an inclusive, encouraging and entertaining experience within sport. This is created because Sport Education allows teachers to assist and guide students to construct their own learning experience, rather than simply telling students what to do. Furthermore it helps to develop students into experienced, knowledgeable and keen sports people. The development of responsibilities directly links into the health and wellbeing experience and outcomes, HWB 3-11a, HWB 3-19a, HWB 3-23a regarding social and physical wellbeing. These experiences and outcomes within the Curriculum for Excellence progress and expand student’s capability to undertake diverse roles and responsibilities within sport rather than simply performing. For example coaching, or refereeing. 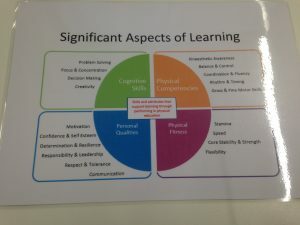 Also considering the significant aspects for learning there are numerous personal qualities that Sport Education targets such as confidence, responsibilities, leadership and communication. It is suggested that Sport Education is producing situations in which the students benefit from continuing reflective development. Consequently inspiring students to contemplate their own learning and the learning happening around them. Sport Education contains a lot of self-management encouraging students to problem solve and make decisions for themselves. Most of the students responded well to this pedagogical model settling well into the sessions, with the team leader taking charge of the group also resolving issues. However in one particular group the students were not responding to the team leader and causing a problem which is where I had to step in to resolve the issue myself. In this situation I could have changed the groups around to split up the students causing issues. If I had spent more time with the students beforehand I would have had a better relationship and known who would work well together. I chose to implement the Sport Education model to my S1 mixed gender, mixed ability badminton class. This group have many different behavioural and classroom management issues which can become a hindrance sometimes. However I still thought that these students could learn a variety of life skills and sport knowledge from this teaching pedagogy. When planning I decided each team would be chosen by the class themselves; selecting their own team name and team captain. The team captain is overall in charge of the whole team and is responsible for making sure all team members carry out their responsibilities and stay on task. Other responsibilities within the team are coaches, reporter, referee, equipment manager, and score keeper. This gave the students the opportunity to be involved whether they are physically capable or not. 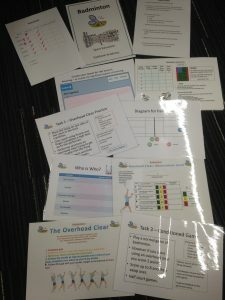 I created badminton pack’s for each group which were labelled with the team name and included; – to do sheet, register, task cards, observation sheet, score cards, twitter sheets, reporter book, board pen and eraser. This allowed the students to pick up the pack, watch the demonstration and then have everything that they need to complete the lesson effectively. Consequently allowing students to be more independent and self-manage their own learning. Within the lesson I had planned and built in routines which were the same every week so that the students were completely aware of what was expected of them. Students were to organise themselves when they come into the games hall with the courts, registers and sit ready for the demonstrations. Each week there was a different focus for the students; week 1 – serve, week 2 – overhead clear, week 3 – drop shot, week 4 – net shot, week 5 – underarm lift. Each of these different badminton shots follow on from one another in order to build up a sequence as the student’s progress. This allowed students to gain more than just a bank of badminton shots and when to effectively use them. Students would gain a more in-depth knowledge of all aspects of the sport. Students had to sit around a badminton court were I would run through all of the tasks that are within their badminton pack for the lesson. When completing the demonstrations I would give students the key teaching points, and observations to look for of the shot. The students were to look at their observation cards during the demonstration to make sure they understood the task. 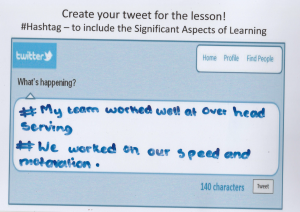 I planned to add in demonstrations to ensure students gained some content knowledge from me and the observation cards as a reference point for help. Most of the roles are self explanatory and you do as it says on the tin! 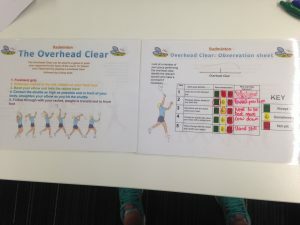 If you are a coach you use the observation cards and tell someone where they need to improve their technique. If you’re a scorekeeper you keep the score.If you’re a referee you have to make sure that everyone is aware of the rules and adhering to them. If you’re the equipment manager you have to ensure that your group has the court set up correctly and the right equipment needed for the lesson. However the reporter is more complicated. Reporters were to comment on the different elements of the lesson such as; – learning, enjoyment, sportsmanship. Reporters commented upon something they felt necessary and important throughout the lesson for example:- sportsmanship, ability, leadership, behaviour. However they must include the significant aspects of learning. This was getting them to start considering skills they were achieving. Furthermore students are linking learning with the significant aspects of learning, making individuals more familiar with the correct terminology. Subsequently including literacy within each lesson which is a responsibility for all teachers to consider within every lesson within the Scotland educational system. What I hoped pupils would learn from this experience? I hoped that through Sport Education that the students would gain a greater understanding of badminton. Rather than just the skills and some rules, by the end they would understand how to coach, referee, report, organise their own activities and keep the score. 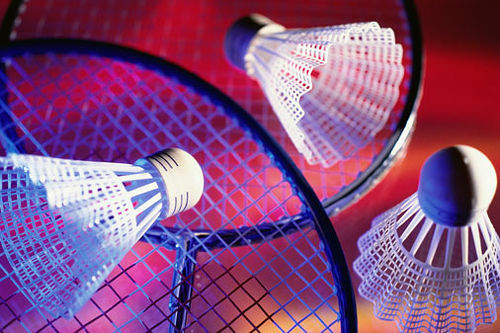 This helps students to gain more experiences within badminton and help others to learn with them along the way. Students are also expected to take responsibility for their own learning. This helps students to be more independent and confident in their own ability; giving students a sense of belonging within the classroom (Hastie, 2012). Consequently Sport Education includes co-operative learning within PE which enhances physical performance and cognitive understanding supporting students, therefore increasing their motivation and self-esteem (Metzler, 2011). Sport Education places students are at the heart of the learning process within small groups (Slavin, 2014). 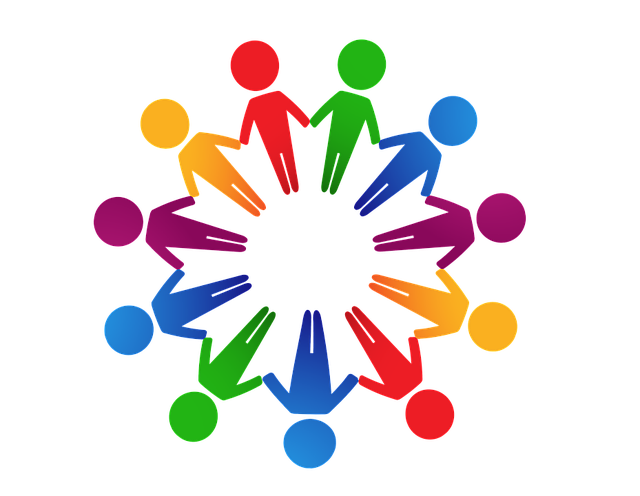 Students’ working co-operatively gives individuals the opportunity to work together effectively and energetically in small groups to enhance their own learning and others (Darnis and Lafont, 2015). Alexander et al (2014) approves and expands to propose that this style of learning assists both student’s accomplishments and social wellbeing. It also helps to facilitate learners to integrate their own knowledge and apply this within other situations. Subsequently allowing them to find as area that they excel in and creating a sense of success (Perlman, 2014). For example students who are good and confident at the serve can go and assist another member of the team to improve. There are many positives and advantages to implementing the Sport Education model with a secondary PE setting. Overall many of the students responded and engaged well with this style of teaching and learning. Sport Education gives students more responsibility to take ownership of their own learning. It proves to be very effective to hand the responsibility over so that students are responsible for organisation and helping one another. It gives students the opportunity to learn from one another, which is building upon student’s social wellbeing. Sport Education provides a social environment that examines relationship between students, overall assisting with student’s social wellbeing. Subsequently individuals within the class who have previously been disregarded have now become affiliated with peers in higher social groups. This is apparent when you look at the grouping registers and know the personalities of the students. Sport Education provides structure to the lesson ensuring that students are always aware of where they should be and what is expected of them. Consequently this makes the lessons run smoother and quicker as it is the same structure and arrangement each week, which means they should be completely aware of what is happening. Within this structure the team leader is responsible for their own team ensuring that everyone is correctly and effectively fulfilling their role within the group. Students were to record which individual is carrying out what role so that everyone is clear and knows exactly what they are responsible for. It was evident from the lessons as the students always knew what I was expecting of them and if they were unsure I had the instructions written out in their team packs. Giving each student a different responsibility offers each student to be appropriately challenged so everyone is always learning. For example if the students are physically capable and can perform an overhead clear they should be transferring their knowledge as a coach to help other students. Responsibilities can help to motivate students and provide individuals with numerous diverse opportunities to experience success within an inclusive environment focused upon team work and contribution. However some students can then hide behind their responsibility or referee or coach and not physically participate within the lesson. Therefore as previously mentioned I ensured they rotated roles each week. Sometimes the pace of the lesson can be compromised at the start of the block as the students have to take time to get acquainted with the system. Students were in S1 and the principle teacher wanted the Sport Education model to be implemented from first year and then followed through each year. However this model was implemented in badminton which is a sport that most students had not played in primary school therefore they have no prior knowledge. This made is difficult to complete some of the tasks and effectively peer assess one another as they didn’t have the correct depth of knowledge to coach one another. Students must teach one another the different badminton shots but will find it difficult as they do not have the background knowledge to support this. Consequently I created reciprocal cards and observation sheets for the students to follow so the teaching points where available. Bad behaviour can present challenging situations when implementing the Sport Education model. For example it is difficult to give students the responsibility to organise themselves if they are distracting one another and misbehaving. Student centred teaching and learning requires a certain amount of trust between pupils and the teacher, if this trust is broken and students misbehave learning does not occur. Finally the Sport Education resources take a lot of time to prepare and get everything in order for the lesson to run smoothly. I had to prepare individual observation sheets for each shot, registers for each group, task cards for each individual activity and shot, score sheets, and twitter sheets. However once the resources are created they are completed and only need slightly altering in the future. Hope this has been useful and let me know if anyone wants a copy of the resources!! 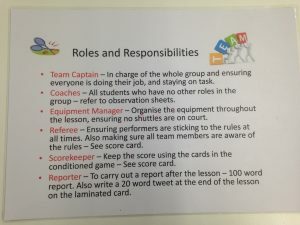 This entry was posted in Differentiation, Ideas, Involving Pupils, Leadership, PE, Resource, Skills on May 18, 2016 by Katie Dundas. It was not without a little trepidation that I headed to Dorking from Glasgow for my first #ililc event hosted by @joedale and @helenmyers at Ashcombe School Language College, sponsored by Sanako making it a free event for the first time, hence why I made the effort. 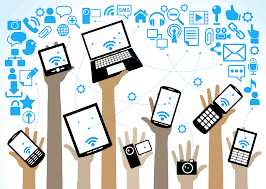 Would my two tablets and smartphone connect, download the necessary apps and not show me up as still being at entry-level with regard to the wonders of the tablet-world? Would everyone be appsmashing over coffee as I remembered I’d forgotten to charge my gadgets? But no, I needn’t have worried, MFL teachers really are the best. Being a subject with communication and openness at its heart, MFL teachers are a chatty lot and so happy to share experiences. Knowing Joe Dale’s inimitable style, we were all poised to keep up with his full-on whistle-stop tour of apps and websites as he set up a todaysmeet for us to post live comments on, as well as opening up a ‘top tech takeaway padlet, with Chrome ‘talk and comment’, ultratext and Speakpipe add-ons.I could have gone home happy after that first half-hour but there were four sessions with three presentations to choose from in each so, focussing on cross-platform sessions as we are not an ipad school, off I headed to Session 1 ‘Apps r us’ with Amanda Salt. Some of the apps were ipad-only but looked great. I’m also the process of creating a loooooong list of website to request be unblocked by the authority firewall, sigh. Session 2 was with Serena Dawson creating a storybook on the lines of a russian doll with layers, inserting audio Speakpipe again and sharing student work on Googledrive. I also loved the simplicity but attractiveness of pic collage but have yet to access it in school. Serena gave the first mention to qr codes and how she sticks them in jotters for parents to access their children’s recordings. Teaching in a school on the south coast in a community hosting a large number of refugee families, she also spoke with passion about inclusive education and making the MFL curriculum more relevant to current events by using websites such as 1jour1actu, which I do use with my Higher classes. The site has great cartoon video clips explaining all manner of questions sent in by French children. As I write this, today’s question/clip is ‘Why do we do tests at school?‘. Session 3 was hosted by one of Ashcombe’s teachers, Anna Sichla, with different uses for apps/websites previously mentioned, in additions to Zondle to make games, Kahoot for more quizzes, using Vocaroo to generate a url to in turn generate a QR code. Anna is a big fan of youtubing and explained how to use Powtoon , although I think that’s one step too far for me just now. I’d love to use Chatterkid app but sadly it’s ipad only. With my mind whirling I headed to Session 4 with Aurélie Charles on using Google apps for education. Very much a hands-on session with a helpful interactive ticklist of tasks to work through as she explained different aspects, allowing us to work at our own pace. Alison described a very effective transition day, themed around arriving at an airport then taking a plane, with departments across the school contributing a linked activity. It sounded wonderful! Jonathan described how his school has signed up to Global Learning through Global Dimension . Also how, post Y9 options, he keeps pupils engaged by them making primary MFL language games. Rachel shared ideas for making learning relevant by describing a module on ‘a new school for the Jungle’, the migrant camp in Calais. Joe couldn’t resist playing with msqrd , another video/audio tool to take the focus of speaking for pupils, but serving an educational purpose. David explained how he has built up a popular Duolingo club, celebrating the success of pupils at assemblies. Maxime, and NQT, shared images of a practical homework he set which surprised him by how engaged pupils became, the task being to cook a French dish and photograph/record it. Some of the pupils had gone to great lengths to produce the food and images. Sunday morning’s first session was with Annalise Adam on QR codes. Inspiring isn’t the word! She showed very clearly how to use QR code generators such as Kaywa or qr-code-generator to link to websites. She gave a practical demonstration of how she created a simple listening exercise by recording German weather phrases on Vocaroo , generating QR codes and posting them around the room for us to scan, identify the weather and note down. Pupils could then use Padlet to post key phrases as a plenary. So simple but so effective and engaging! Annalise also uses QR codes to bring worksheets to life. The #ililc6 weekend totally re-energised me. I emailed my Headteacher before I got on the plane home, evangelising the wonders of ICT (when the internet isn’t buffering, the sun isn’t shining on my interactive whiteboard and the websites aren’t blocked) and offering to run a school Teachmeet. Once I got home, I created a departmental poster of QR codes linking to activity websites such as Linguascope, reference sites we use such as Word Reference and exam support via SQA . Copied, laminated and distrubuted Monday at coffee! This week’s DM was dedicated to a handful of ideas and I intend for us to focus on one idea per month so staff don’t feel overwhelmed but they’re used to me getting carried away with ideas. Some staff have already tried out some of the new ideas and love them, as do their pupils. Having been inspired Serena and Annalise, I created a powerpoint for my Higher French class on the death of Prince and also of David Bowie earlier this year, using QR codes to link to French tv news reports and a 1jour1actu cartoon clip on Bowie. P2 Monday morning was maybe a bit early for my poor Highers to appreciate my even more energetic enthusiasm for my new ‘toys’, but they too used to be getting over-excited now and then. Quizlet live has been a big success and colleagues are similarly enthused. We subscribe to textivate and when I created an activity this week, I remembered to give it the dept tag ‘invacad’ so it’s easy to find again. I really can’t emphasise how much I appreciated this weekend, it has easily been the best cpd-event I’ve ever attended and has had an immediate impact on my teaching practice and a knock-on effect on my colleagues. I’m fairly new to Twitter and have been using our Department account @invacadmfl to share the #ililc6 love. Thank you @JoeDale! This entry was posted in #ScotEdChat, Creativity, Curriculum, ICT, Ideas, Modern Languages, Pedagoo, PedagooFriday, PedagooGlasgow, Professional Learning, Skills on May 3, 2016 by Sarah Bell. The purpose of this guide is to support teachers/tutors in resolving conflicts within Learning Sets through Interpersonal Small Group Mediation strategies. have the potential to either enable high functioning learning and social relationships or low functioning learning and social relationships. To enable the desired outcome of the Learning Set relationships must be nurtured by all 7 members of the Learning Set; the 6 students and the 1 tutor. As with any group, problems and issues concerning relationships can emerge and if unresolved can evolve into corrosively negative group relations. The key therefore is to enable the successful resolution of substantive, communication and relational problems as they emerge. Vigilance, swift action and mediation on the part of the tutor can enable the group to locate the causes, course and consequences of the problem or issue and with this foster healthier Learning Set relationship. A Learning Set’s success is in direct correlation with the strength of the Learning Set’s relationship. The long term goal is to enable students to better negotiate their own solutions to substantive, communication and relational problems. Students need to recognise that the relationship of the group is the responsibility of every member. Through modelling and interventions such as Learning Set Mediation, students can come to be ever more self-regulating, aware of how to negotiate their way through the complexities of learning and social relationships. Within this process the Learning Set’s tutor plays a key role. As mediator the teacher of tutor’s role is to enable the process of mediation to be undertaken. The key to effective mediation is the tutors fulfillment of organisational and communication duties. Good communication during the act of mediation is crucial. Good communication involves the mediator putting aside their own views and feelings in order to help the parties listen to and understand each other. To these ends the tutor must place themselves physically within the group acting as a conduit of communication for mediation (discussion-resolution). Empathy to help each party to stand in each other’s shoes and understand each other’s point of view. As a mediator the tutor must not take sides, or be seen to be acting unfairly. Acknowledge points made by all parties, and spend equal time with each person or on their issues, enabling them to speak and actively listening. to the cause (where did it begin and why?). Mediation can be time consuming and will require a number of daily-weekly-monthly sessions, all depending on the nature and complexity of the problem or issue. The time spent however can reap rewards for all involved in the long run and for the tutor cement their role as an informed and important member of the Learning Set. Select a place to conduct the mediation. This should be a neutral and private space, free of interruptions, where the group can sit together in a circle with the mediator sat as part of this circle. Each session should last not more than 20 minutes. When sat in the circle members should be distraction free; nothing in their hands to fiddle with. Once in the space and sat the mediator needs to introduce themselves, set out the mediator’s role (to be impartial and help to communicate and reach their solution) and lay out the ‘ground rules’ for the mediation process. These should include the basic rules of communication (once voice at a time, eye contact with the speaker, no interruptions, use of a person’s name when referring to them) and confidentiality. During this stage, the tutor’s role is to help all to move towards a position where they start to understand each other’s point of view, and can then begin to resolve the shared problem. Enable the group to move from a focus on the past to one on the future. Enable the group to see areas of agreement, commonality and shared feelings. Enable the group to develop options for resolution. Help the group select the most likely to succeed option (relevant, achievable, suits all parties). When relevant help the group to develop evaluation criteria, which should ideally be objective and in order of importance, for the successful application of the agreed option. Enable the group to agree to the proposed resolution. When relevant set the group or individuals SMART targets to enable the successful application of the resolution. Agree a follow up meeting to discuss how things are moving forward. “Let’s take it in turn to share our thoughts and feelings about the situation. (name) will start first and we will move around the group in a clockwise direction listening to what everyone has to say”. Thorsborne. M., & Vinegrad. D. ( 2011) Restorative Justice Pocketbook, Teachers Pocketboks. Hampshire. Ongoing research into situated group dynamics. This entry was posted in Curricular Areas, Curriculum, Ideas, Implementation, Inclusion, Involving Pupils, Leadership, Professional Learning, Research, Resource, Skills on March 7, 2016 by Rob Gratton.